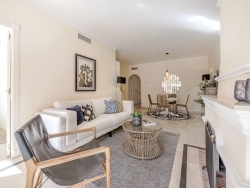 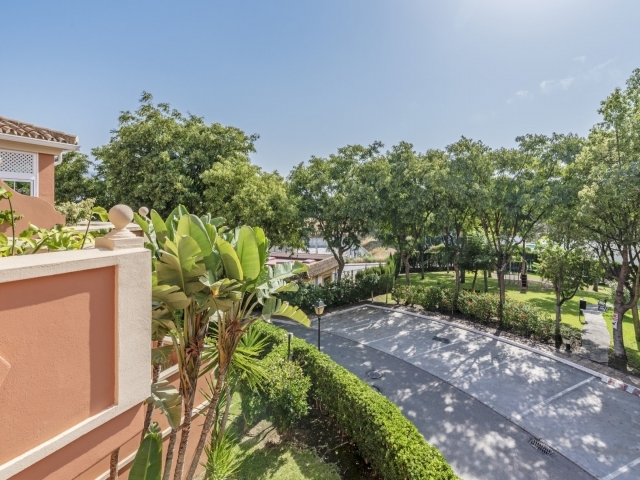 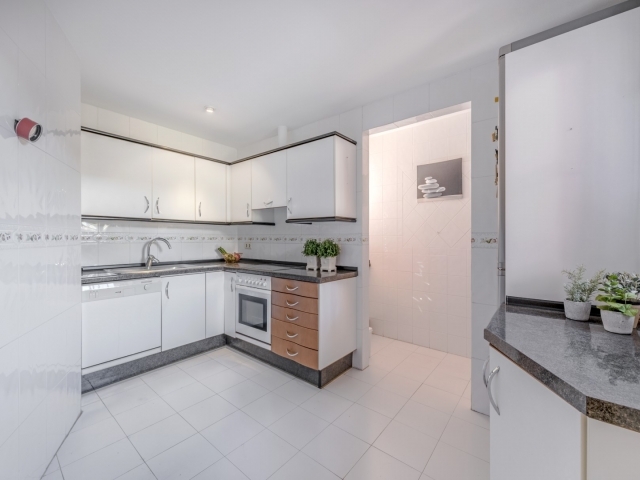 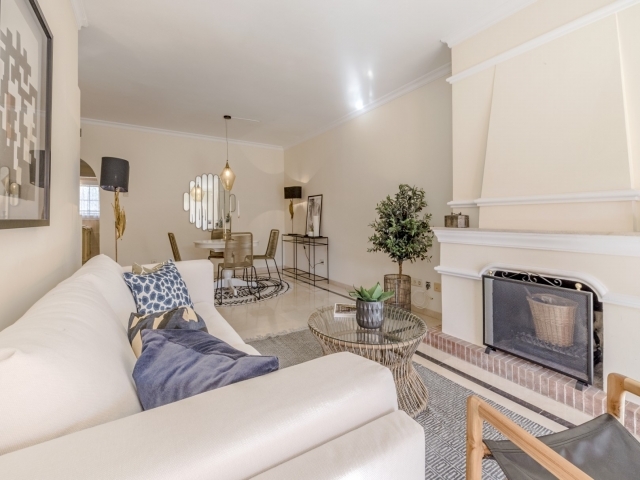 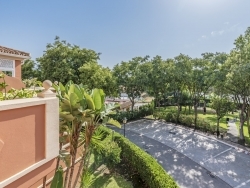 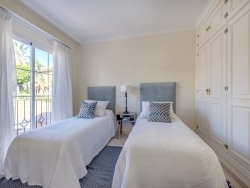 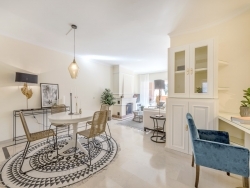 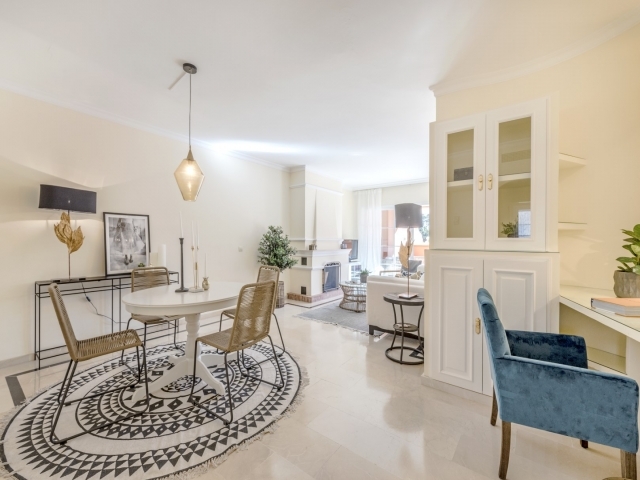 South facing 1st floor apartment in Andalucía Alta, within walking distance to shops and Puerto Banús. 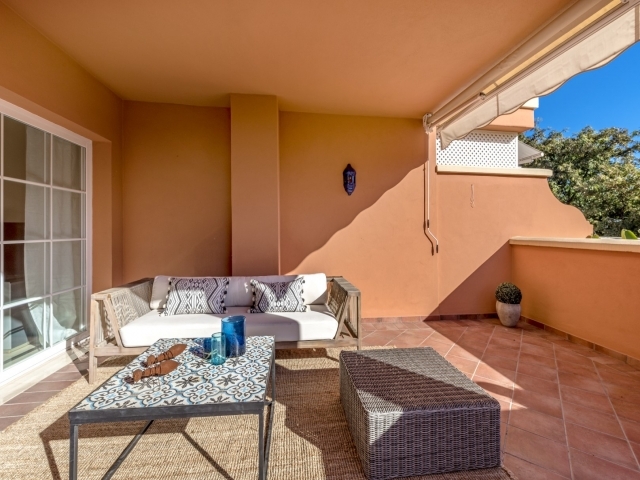 Offering a large terrace, with sun all day. 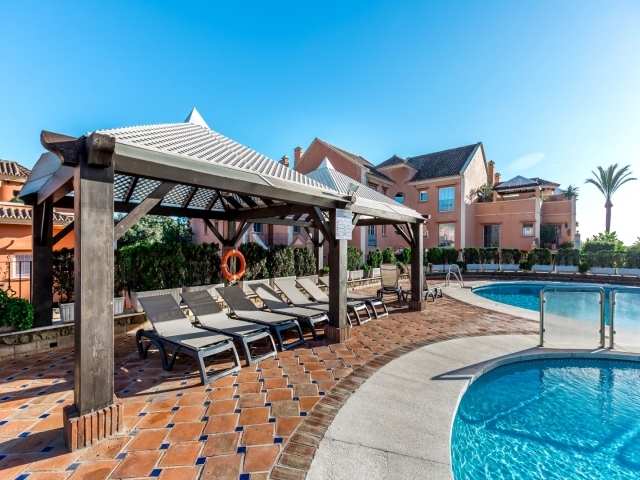 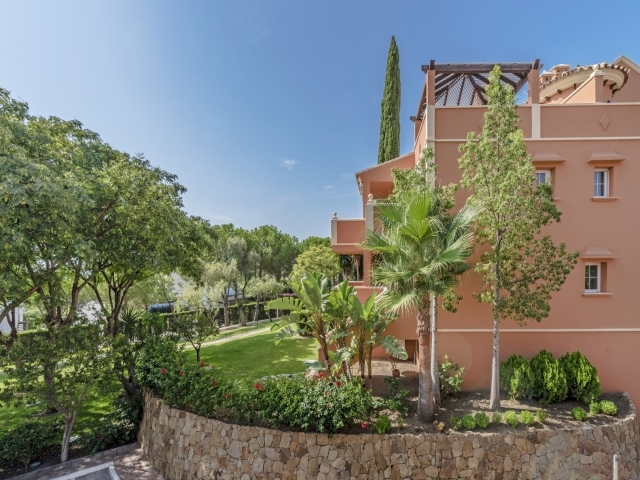 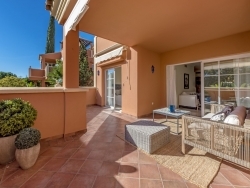 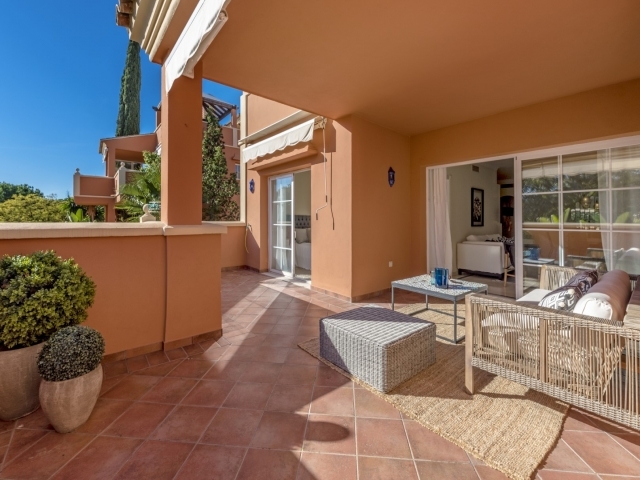 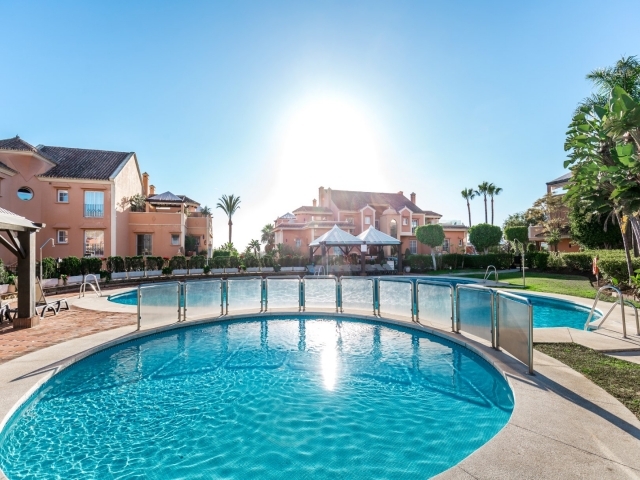 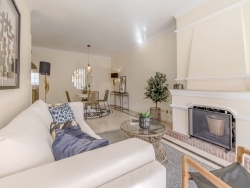 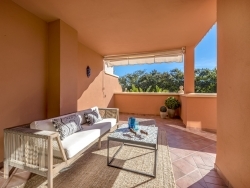 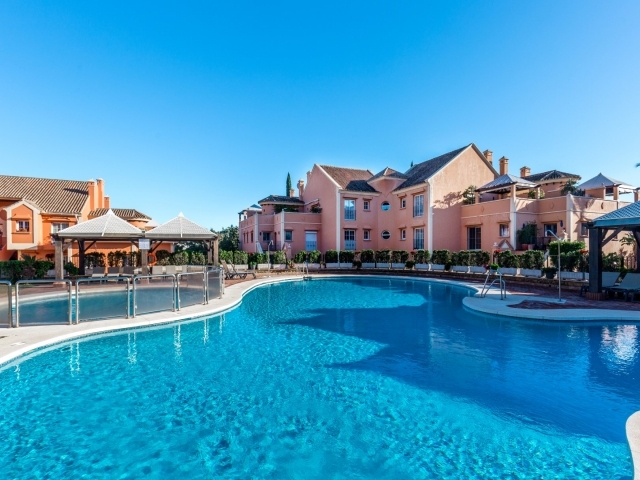 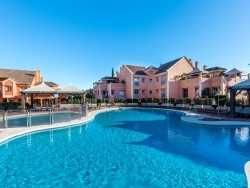 Close to all golf courses, this apartment is ideal for couples, families & golfers alike. 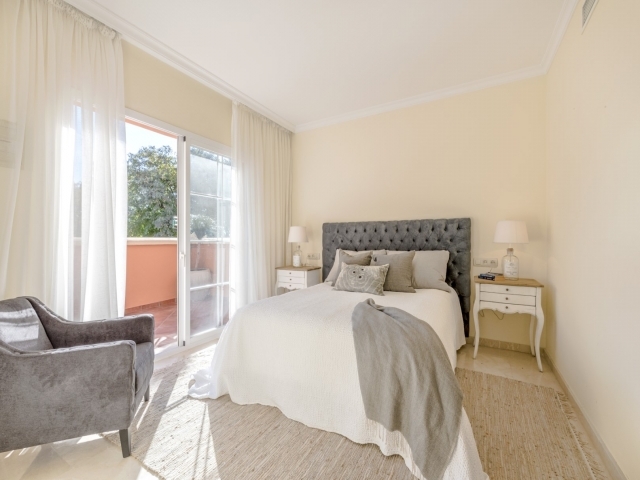 Layout: Entrance hall, leading to the guest bedroom with single beds and a large window. 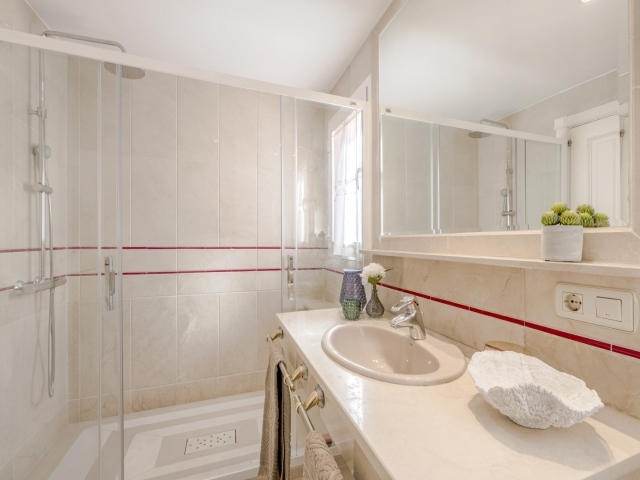 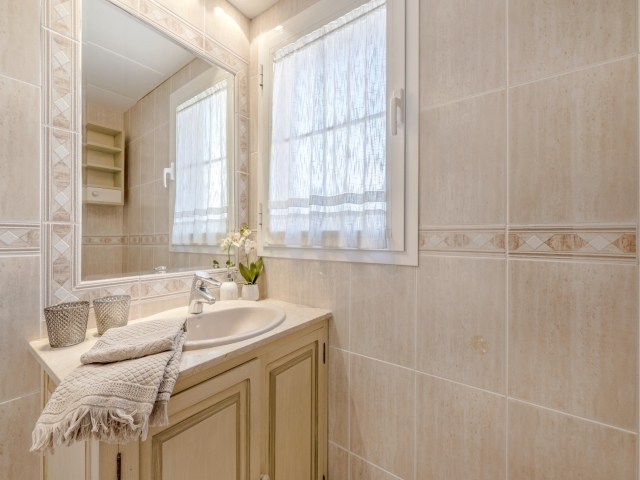 Guest bathroom with shower and then further in you have the combined living and dining area, a fully-equipped kitchen to the right. 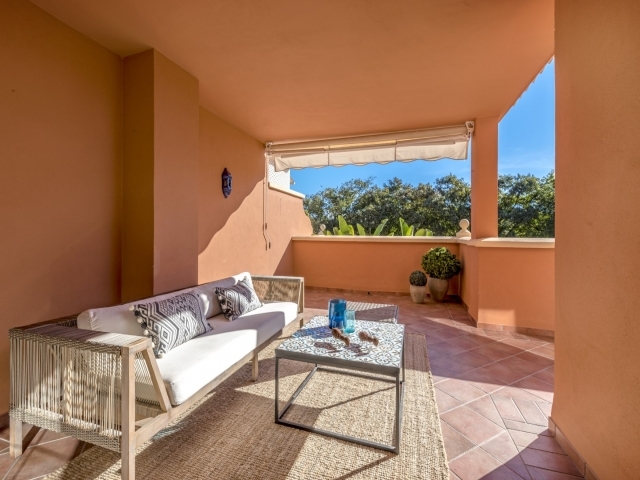 Out from the living room leads you to the south facing terrace which is partly covered. To the far right you will find the master bedroom with a double bed and en-suite bathroom with refurbished walk-in shower.